Yorkshire – September 21st – 25th 2018. 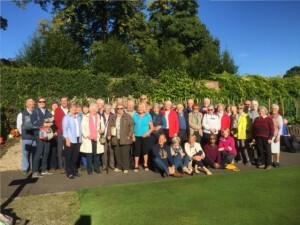 25 members stayed at the Majestic Hotel in Harrogate, and visited Newby Hall, Harewood House, York and the Minster, Hardwick Hall, Fountains Abbey, Temple Newsam and, of course, Betty’s tea rooms! Our first stop on the way to Harrogate was The Hepworth in Wakefield and was a highlight for many of us. Thirty seven members stayed at the Bristol Hotel in Avignon and visited the Petit Palais, the Palais des Papes and, of course, the Pont d’Avignon. Aix-en-Provence, Cezanne’s birthplace, where we saw where he lived and the landscapes that inspired him. Arles, home to the magnificent Cathedral of Saint Trophime where Van Gogh is said to have lost his sanity. A highlight for many was the Carrieres de Lumieres show at Les Baux de Provence. Nimes, and had a day steeped in Roman architecture visiting the 2,000 year old Pont du Gard and the stunning Roman Temple known as La Maison Carree. We were blessed with a brilliant guide, Lawrence, who knew all the best places to eat in town! Thirty five members took over the new Duchess of Cornwall Inn in Poundbury, which was a great success. We visited Sherborne Abbey and Castle, Kingston Lacy, The Russell Coates Gallery and Museum and many other treasures en route. We are indebted to Brookland Travel for providing, in Julia, a most delightful guide. We stayed at the 4 star Turim Europa Hotel, close to the Marques de Pombal Square. There was a guided tour of the city, with time to explore the Mosteiro dos Jeronimos and the Palacio dos Marqueses de Fronteira. During our stay, we enjoyed some astounding scenery and also visit the Palacio Nacional de Queluz, the Gulbenkian Museum and the Palacio Nacional da Pena. 17 members enjoyed a busy city break stopping on route to the Royal Bath Hotel to visit the American Museum. A most interesting peek into the period rooms showing lifestyles from early settlers through the war of independence, slave trade, the Amish and much more. We finished the first day at Evensong in Bath Abbey. Our Blue Guides brought the Roman Baths to life. In the city centre, we were able to walk to the assembly rooms and the fashion museum with our guide sharing historical anecdotes about people and places along our route. Prior Park, Sally Lunns and the Holburne Museum were also visited in a most enjoyable short Autumn break. We stayed at the excellent Excelsior Hotel in Valletta and were delighted with the weather, the programme and our guide, Amy. We visited the old cities, key monuments and locations but the highlights for many were the two private houses – Casa Bernard and Casa Rocca Piccola. St John’s Co- Cathedral was also breathtaking. One of our three excellent journeys by water was a trip to Gozo. Many of us also went to the opera, enjoyable and interesting, despite the limitations of our last minute seats! 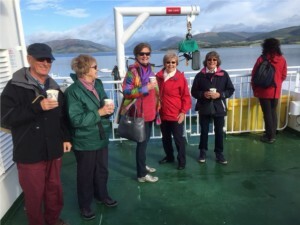 Scotland, September 20th – 25th 2015. We travelled partly by train and visited Charles Rennie Mackintosh’s Hill House in Helensburgh and Luss on Loch Lomond on our first afternoon. We then spent a full day visiting Mount Stewart House on Bute, looking spectacular in late summer sunshine. 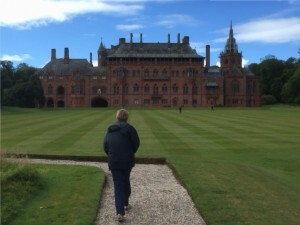 Our last full day in Glasgow began with a tour of the House for an Art Lover before the members of the group chose a particular gallery or attraction, with many visiting Kelvingrove and the Burrell, while others went to the Willow Tea rooms or cathedral. On day 4 we began the second phase of the trip and travelled south to Dumfries House, for many the highlight of our holiday. This amazing and much loved house and its collection of Chippendale furniture was saved at the last minute from being sold by the intervention of the Prince of Wales. We also saw Culzean Castle, another Robert Adam design, which has a remarkable cliff-top location, before arrival at our second hotel. The Cally Palace, at the Gatehouse of Fleet, was comfortable and surrounded by an extensive golf course and grounds. From it, we were able to explore Kirkcudbright, including Hornel’s home, Broughton House, and to relax in comfort. 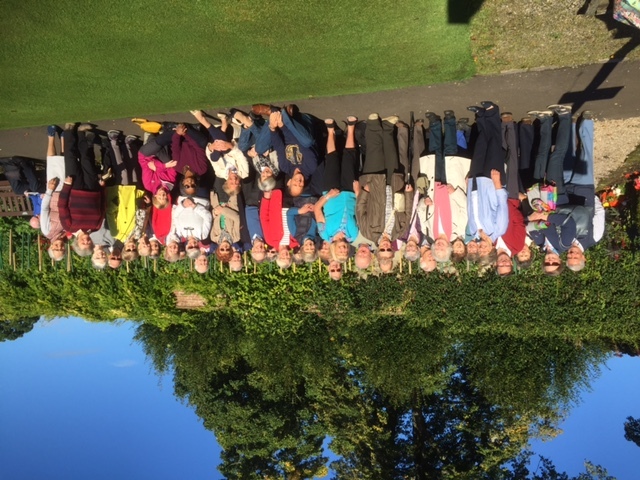 Our final day was spent in restored gardens close to the hotel and in the Tullie House museum and gallery in Carlisle from where we travelled home. We visited Granada, and the Alhambra Palace and were especially impressed by our time in Cordoba. The beauty of the Mezquita surpassed our expectations. Our second base was in Seville and we explored the cathedral, Alcazar and much more. We stopped in Ronda on our last day, seeing the town and amazing gorge which cuts through it. This was a very busy holiday and somewhat tiring, with early start and late finish, but certainly value for money and memorable, in perfect Spanish sunshine. Short – Devon, September 14th – 18th 2014. Devon, September 14th – 18th 2014. We had wonderful September weather for our Devon trip. 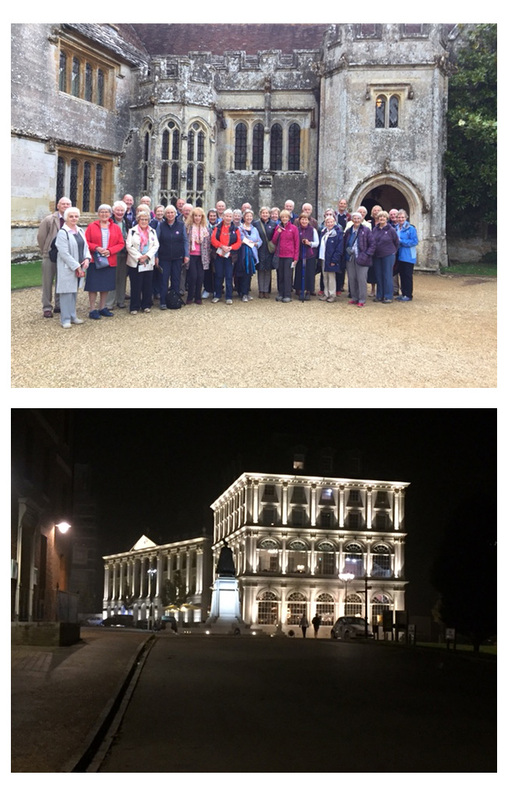 We visited Montacute House on the way and then, from our base in Exeter, we explored the town and Cathedral with excellent guides. Further afield we visited Buckland Abbey, Cotehele, and Coleton Fishacre. From Dartmouth we had an excellent cruise to Agatha Christie’s Greenway before enjoying a private tour of the Royal Naval College. Our final visit, on the way home, was to the SS Great Britain at Avonmouth.